Happy 2015 from Yu’s New Beijing Chinese Restaurant in Glen Ellyn, IL! Although Chinese New Year–the Year of the Sheep–won’t start until February 19, 2015–we wanted to wish you a Happy 2015 New Year. The sheep (goat, or ram) is among the animals people like the best. Their demeanor is gentle and calm. People under the sign of the sheep are tender, polite, clever, and kind-hearted. Enjoy our 2015 calendar–a mixture of all cultures! 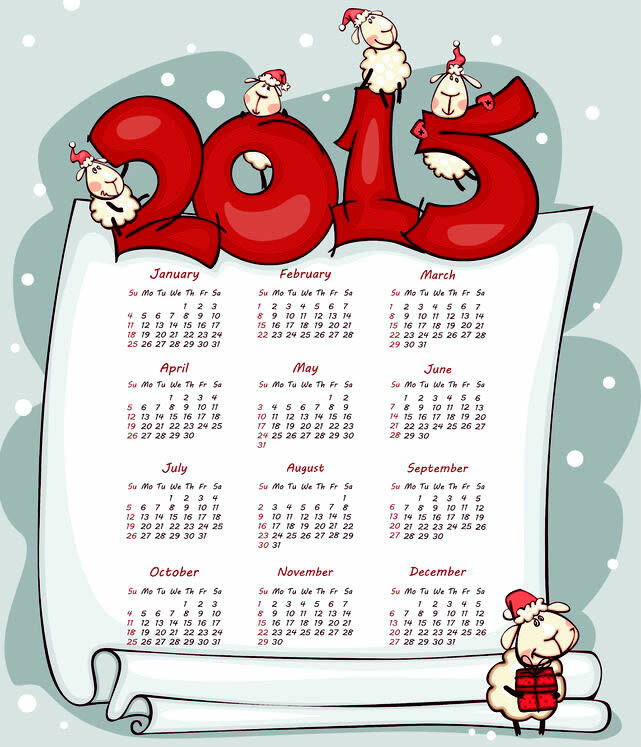 Click to print a calendar PDF for yourself. Yu’s New Beijing Chinese Restaurant will be open for dine-in, pick-up and delivery on New Year’s Eve: December 31, 2014, and New Year’s Day: January 1, 2015 from 11:00 a.m. until 9:30 p.m. Call us at 630.469.1535 to order or with any questions. This entry was posted in New Year's Eve and tagged 2014/2015, 630-469-1535, Calendar, Chinese food, delivery, dine in, Glen Ellyn, Illinois, New Year 2015, New Year's Day, New Year's Eve, open for business, pick up, Year of the Ram, Year of the Sheep, Yu's New Beijing. Bookmark the permalink.